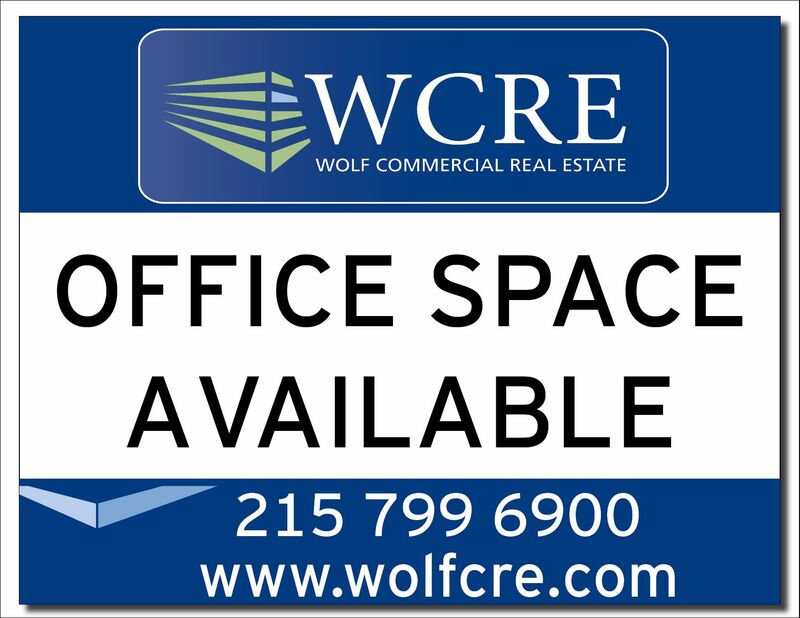 Wolf Commercial Real Estate (WCRE), specializes in representing Bala office space for buyers, tenants, investors and sellers throughout the greater Bala Cynwyd region. Strategically located between New York City and Washington, D.C., and easily accessible via a major international airport, Amtrak’s north-south corridor and several major highways, Bala Cynwyd office space offers global, national and regional companies a highly desirable location in which to conduct business. As experts in Bala Cynwyd commercial real estate services, the team at our Bala commercial real estate brokerage firm provides ongoing detailed information about Bala Cynwyd office properties to our clients and prospects to help them achieve their real estate goals. At Wolf Commercial Real Estate, our Bala Cynwyd commercial real estate services encompass the highest quality of service and proven expertise. WCRE, a leading Bala Cynwyd commercial real estate broker, helps owners of Bala office space for sale or lease put tenants or buyers in their properties through a defined marketing process that is tailored to each property and sub-market. Our proven marketing strategy is implemented by commercial real estate professionals who are experts in the Greater Bala Cynwyd-area office markets, providing the unparalleled levels of Bala Cynwyd property owner representation. As a premier Bala Cynwyd commercial real estate brokerage firm, we treat your Bala Cynwyd office properties as if they were our own and we work closely with you as part of our total commitment to client-focused relationships. For companies and individuals seeking to lease or acquire new Bala Cynwyd office properties, Wolf Commercial Real Estate will identify the office space that best suits your needs, whether in the greater Bala Cynwyd area or anywhere in the country. Through our Bala Cynwyd tenant representation services, we ensure that the sale or lease terms of the Bala Cynwyd office space or any other new property are tailored to meet your goals. As a full-service Bala commercial real estate broker, we assist in the relocation analysis process from start to finish, facilitating a smooth transition into your new Bala office space and serving as your strategic partner invested in your long-term growth and success. For more information about Bala Cynwyd office space for sale or lease or about commercial properties for sale or lease elsewhere in the United States, please contact Jason Wolf (215-799-6900-office; 215-588-8800-cell; jason.wolf@wolfcre.com) at Wolf Commercial Real Estate, the premier Bala commercial real estate brokerage firm. Wolf Commercial Real Estate is a Bala Cynwyd commercial real estate broker that provides a full range of Bala Cynwyd commercial real estate services, marketing commercial offices, medical properties, investment properties, industrial properties, land parcels and retail buildings for buyers, tenants, investors and sellers in the greater Bala Cynwyd area and beyond. Please visit our websites for information about our Bala Cynwyd commercial real estate services for office space, retail space, medical space, investments, industrial space or land for sale or lease, or for information about other commercial real estate listings and commercial real estate services from Wolf Commercial Real Estate, the leading Bala commercial real estate broker. 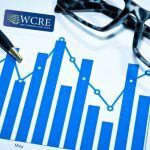 With a commercial real estate executive now in the White House, 69 percent of the CRE executives responding to a recent survey said they expect President Trump will have an overall positive impact on the U.S. commercial real estate market – including Philly office space, Philly retail space and Philly industrial space – in 2017. Rising interest rates continue to dominate concerns for executives in the U.S. and Philadelphia commercial real estate markets in 2017. Almost all survey respondents (98 percent) expect at least one interest rate increase this year, and 77 percent expect multiple rate increases in 2017. This report on national and Philadelphia commercial properties is being made through Philadelphia commercial real estate broker Wolf Commercial Real Estate, a Philadelphia commercial real estate brokerage firm. An overwhelming majority (83 percent) of respondents to the survey by the Seyfarth Shaw law firm said they are not concerned an act of domestic terrorism will impact their projects involving U.S. and Philadelphia commercial real estate properties in 2017, compared to 70 percent last year. In addition, CRE execs polled by the law firm believe “deregulation” and “tax reform” may provide immediate and positive impacts for the industry in 2017. Notably, many survey respondents singled out the new administration’s position on dismantling much of the regulatory infrastructure enacted under the 2010 Dodd-Frank Wall Street Reform and Consumer Protection Act as potentially spurring a new investment boon involving both national and Philadelphia commercial real estate listings. But along with increased optimism industry execs also are reporting increased investment risk in the CRE market. The unusual combination of optimistic outlook with wariness over interest rates and other expected changes in the U.S. commercial real estate market – including Philly office space, Philly retail space and Philly industrial space – appears to stem from concerns about rolling back lending safeguards, but also from uncertainty about which of the proposed changes will be enacted and when they’ll go into effect. In one example of how this greater sense of risk appears to be playing out in relation to U.S. and Philadelphia commercial real estate listings can be seen in recent 10-K and Annual Report filings by REITs and real estate operating companies. Reporting companies are increasingly updating the “Risk Factors” sections of those reports to reflect the numerous possible policy changes and positions associated with the new Trump administration. President Trump’s name has shown up in the Risk Factors’ section in 40 of 194 real estate-related 10-Ks filed this year through the end of February, a 21% rate, said a CoStar News analysis. By comparison, President Obama’s name showed up in just nine out of 378 real estate related 10-Ks in the first three months of 2009, his first months in office, a 2% rate. For more information about Philly office space, Philly retail space and Philly industrial space or other Philadelphia commercial properties, please call 215-799-6900 to speak with Jason Wolf (jason.wolf@wolfcre.com), Christopher R. Henderson (chris.henderson@wolfcre.com), Tony Banks (tony.banks@wolfcre.com) or Drew Maristch (drew.maristch@wolfcre.com) at Wolf Commercial Real Estate, a leading Philadelphia commercial real estate broker that specializes in Philly office space, Philly retail space and Philly industrial space. Bala Cynwyd’s office market, while not currently experiencing five percent rent growth, currently is experiencing its highest occupancy rate in 15 years – 92 percent – and has seen gradual tightening annually since 2010. Coming out of the Great Recession, Bala Cynwyd struggled to compete for office tenants in the U.S. commercial real estate market – including Philly office space, Philly retail space and Philly industrial space – with nearby suburbs like Conshohocken or Radnor, both of which offer prospective lessees a larger stock of newer or more recently renovated office properties. However, a gradual progression of development and renovation projects in the national and Philadelphia commercial real estate markets has helped Bala Cynwyd reassert its competitive edge. The 2007 opening of a 120,000 square foot Target across City Line Avenue from Bala Cynwyd added an additional anchor for retail traffic to the area’s national and Philadelphia commercial real estate properties. That new Target had helped support a range of popular restaurants along the periphery of the relatively new shopping center, including California Pizza Kitchen, Naf Naf Grill and Starbucks. Since then, more than 750,000 square feet of office space comprising U.S. and Philadelphia commercial real estate listings has been renovated along the portion of City Line Ave., stretching from Interstate 76 to the Bala Regional Rail Station at Conshohocken Road. Lower Merion Township also approved new zoning ordinances to promote dense, mixed-use, and transit-friendly development, and Post Brothers renovated and up-scaled roughly 1,000 apartment units at Presidential City. Office owners in this area of the U.S. commercial real estate market – including Philly office space, Philly retail space and Philly industrial space – are beginning to see the benefits of these upgrades as existing financial tenants such as Investedge and Allied Mortgage both chose to stay in Bala Cynywd and expand their office space within the submarket during 2017. Bala Cynwyd’s office market may not be exhibiting a red-hot leasing environment or five percent rent growth, but the area’s occupancy rate, currently at 92 percent, has been gradually tightening since 2010 and now is near its highest levels in 15 years. Coming out of the Great Recession, Bala Cynwyd struggled to compete for office tenants with nearby suburbs such as Conshohocken or Radnor, both of which offer prospective lessees in the U.S. commercial real estate market – including Bala office space – a larger stock of newer or more recently renovated office properties. 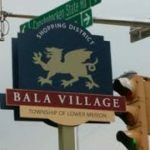 However, a gradual progression of development and renovation projects in the national and Bala commercial real estate market has helped Bala Cynwyd reassert its competitive edge. This report on U.S. and Bala commercial properties is being made through Bala commercial real estate broker Wolf Commercial Real Estate, a Bala commercial real estate brokerage firm. The 2007 opening of a 120,000 square foot Target across City Line Avenue from Bala Cynwyd added an additional anchor for retail traffic among various national and Bala commercial real estate properties. The Target had helped support a range of popular restaurants along the periphery of the area, including California Pizza Kitchen, Naf Naf Grill, and Starbucks. Since then, more than 750,000 square feet of office space among the area’s U.S. and Bala commercial real estate listings has been renovated along the portion of City Line Avenue, stretching from Interstate 76 to the Bala Regional Rail Station at Conshohocken Road. Lower Merion Township also approved new zoning ordinances to promote dense, mixed-use, and transit-friendly development, and Post Brothers renovated and up-scaled roughly 1,000 apartment units at Presidential City. Office owners in this area of the U.S. commercial real estate market – including Bala office space – are beginning to see the benefits of these upgrades as existing financial tenants such as Investedge and Allied Mortgage both chose to stay in Bala Cynywd and expand their office space within the submarket during 2017. For more information Bala commercial properties, please call 215-799-6900 to speak with Jason Wolf (jason.wolf@wolfcre.com) at Wolf Commercial Real Estate, a leading Bala commercial real estate broker that specializes in Bala office space. Wolf Commercial Real Estate, a full-service CORFAC International brokerage and advisory firm, is a premier Bala commercial real estate brokerage firm that provides a full range of Bala commercial real estate listings and services, property management services, and marketing commercial offices, medical properties, industrial properties, land properties, retail buildings and other Bala commercial properties for buyers, tenants, investors and sellers. Wolf Commercial Real Estate, a Bala commercial real estate broker with expertise in Bala commercial real estate listings, provides unparalleled expertise in matching companies and individuals seeking new Bala office space with the Bala commercial properties that best meets their needs. As experts in Bala commercial real estate listings and services, the team at our Bala commercial real estate brokerage firm provides ongoing detailed information about Bala commercial properties to our clients and prospects to help them achieve their real estate goals. If you are looking for Bala office space for sale or lease, Wolf Commercial Real Estate is the Bala commercial real estate broker you need — a strategic partner who is fully invested in your long-term growth and success. Please visit our websites for a full listing of South Jersey and Bala commercial properties for lease or sale through our Bala commercial real estate brokerage firm. “Index funds represent almost 41% of assets in the list, a 6% rise since last year,” Brightscope found. While index fund investing, ideally, should be more than 80% of 401(k) assets, this is an encouraging number. The lower the “expense ratio” or annual management fee on the funds within your 401(k), the more you can save. Remember that management expenses come directly out of your kitty. Focus on improving the plan you have. But the key to making it work is to save as much as you can every year — at least 15% of your salary. Every year, the research firm Brightscope rates the best 401(k) plans. It searches far and wide and scans the filings of thousands of companies. If your 401(k) doesn’t have a full array of the lowest-cost index funds, ask for them. 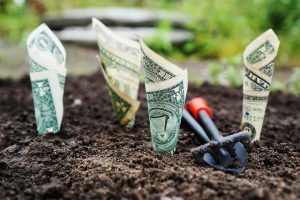 The best plans put some money on the table in the form of matching contributions, which average $13,000 per worker in the Brightscope survey. Wolf Commercial Real Estate, a Bala Cynwyd commercial real estate broker with expertise in Philadelphia and South Jersey commercial real estate listings and services, is offering a well-located office condo for sale in Bala Cynwyd at 15 Presidential Boulevard Bala Cynwyd PA. This Bala Cynwyd office condo for sale features +/- 1,700 square feet of office space and the asking sale price for this office condo for sale in Bala Cynwyd at 15 Presidential Boulevard Bala Cynwyd PA is $315,000. This office condo for sale in Bala Cynwyd at 15 Presidential Boulevard Bala Cynwyd PA is located directly off City Line Avenue and this Bala Cynwyd office condo for sale provides immediate access to I-76. This Bala Cynwyd office condo for sale is available for immediate occupancy from Wolf Commercial Real Estate, the foremost Bala Cynwyd commercial real estate brokerage firm that specializes in Philadelphia and South Jersey commercial real estate listings and services. This office condo for sale in Bala Cynwyd is a fully-furnished medical office suite in excellent condition. In addition, this Bala Cynwyd office condo for sale is fit out with exam rooms, cabinetry, and plumbing. More than 892,000 individuals live within a five-mile radius of this office condo for sale in Bala Cynwyd. The average household income of families living within that same radius of this Bala Cynwyd office condo for sale is $58,736. This office condo for sale in Bala Cynwyd at 15 Presidential Boulevard Bala Cynwyd PA is available through Wolf Commercial Real Estate, a Bala Cynwyd commercial real estate broker with expertise in Philadelphia and South Jersey commercial real estate listings and services. For more information about this Bala Cynwyd office condo for sale at 15 Presidential Boulevard Bala Cynwyd PA, or about any other Bala Cynwyd commercial properties for sale or lease, please call 215-799-6900 or contact Jason Wolf (jason.wolf@wolfcre.com) at Wolf Commercial Real Estate, the leading Philadelphia and South Jersey commercial real estate brokerage firm. Wolf Commercial Real Estate is a premier Bala Cynwyd commercial real estate broker that provides a full range of Philadelphia and South Jersey commercial real estate listings and services, marketing commercial offices, medical properties, industrial properties, land properties, retail buildings, and other Philadelphia and South Jersey commercial properties for buyers, tenants, investors and sellers. Please visit our websites for a full listing of Philadelphia and South Jersey commercial properties for sale or lease through our Philadelphia and South Jersey commercial real estate brokerage firm. Wolf Commercial Real Estate has office space for sale on Presidential Boulevard. Wold is a comercial real estate broker that focuses on Bala commercial real estate listings and services, now has well-located Bala office space for sale available at 15 Presidential Boulevard Bala Cynwyd PA. This Bala office building for sale contains 1,700 square feet of office space for sale on Presidential Boulevard. The sale price being sought for this Bala professional office space for sale is $339,000. This Bala office space for sale on Presidential Boulevard Bala Cynwyd PA can be acquired through Wolf Commercial Real Estate, a Bala commercial real estate brokerage firm that pays great attention to Bala commercial real estate listings and services. This Bala professional office space for sale is a suite of medical offices that is finished fully and in excellent condition. 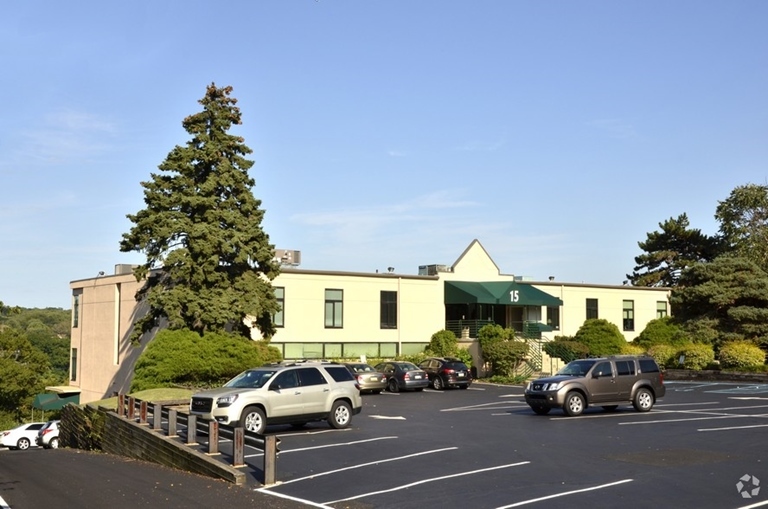 This Bala office building for sale at 15 Presidential Boulevard Bala Cynwyd PA is immediately adjacent to City Line Avenue; this Bala office space for sale will give its occupants and clients easy access to I-76. This Bala office space for sale is ready to go for any type of medical operation as all plumbing, exam rooms and cabinets already have been fit out. Potential purchasers who are interested can receive more information about this Bala professional office space for sale from Wolf Commercial Real Estate, a Bala commercial real estate broker that specializes in Bala commercial real estate listings and services. Parking is plentiful as there is an excellent building-square-footage-to-number-of-spaces ratio at this Bala office building for sale at 15 Presidential Boulevard Bala Cynwyd PA. A number of quality hotels, shopping outlets and restaurants are in the immediate neighborhood of this Bala office space for sale. To learn additional details about this Bala office space for sale at 15 Presidential Boulevard Bala Cynwyd PA or about any other Bala commercial properties for sale or sale, please call 215-799-6900 to speak with Jason Wolf (jason.wolf@wolfcre.com) at Wolf Commercial Real Estate, a Bala commercial real estate brokerage firm that specializes in Bala commercial real estate listings and services. Wolf Commercial Real Estate is a leading Bala commercial real estate broker that offers a complete array of Bala commercial real estate listings and services, marketing commercial offices, medical properties, industrial properties, land properties, retail buildings and other Bala commercial properties for buyers, tenants, investors and sellers. Please visit our websites for a full listing of Bala commercial properties for sale or sale through our Bala commercial real estate brokerage firm. This Bala office building for sale has 1,700 square feet of Bala office space for sale. The asking sale price for this Bala professional office space for sale is $339,000. This Bala office space for sale at 15 Presidential Boulevard Bala Cynwyd PA is available through Wolf Commercial Real Estate, a Bala commercial real estate brokerage firm that specializes in Bala commercial real estate listings and services. This Bala professional office space for sale is a fully finished medical office suite in excellent condition. This Bala office building for sale at 15 Presidential Boulevard Bala Cynwyd PA is located directly off City Line Avenue and this Bala office space for sale provides immediate access to I-76. This Bala office space for sale is fit out with exam rooms, cabinetry and plumbing. There are many amenities nearby this Bala professional office space for sale through Wolf Commercial Real Estate, a Bala commercial real estate broker that specializes in Bala commercial real estate listings and services. There is an excellent parking ratio at this Bala office building for sale at 15 Presidential Boulevard Bala Cynwyd PA. Tenants of this Bala office space for sale will be near restaurants, hotels and shopping. For more information about this Bala office space for sale at 15 Presidential Boulevard Bala Cynwyd PA or about any other Bala commercial properties for sale or sale, please call 215-799-6900 to speak with Jason Wolf (jason.wolf@wolfcre.com) at Wolf Commercial Real Estate, a Bala commercial real estate brokerage firm that specializes in Bala commercial real estate listings and services. Wolf Commercial Real Estate is a premier Bala commercial real estate broker that provides a full range of Bala commercial real estate listings and services, marketing commercial offices, medical properties, industrial properties, land properties, retail buildings and other Bala commercial properties for buyers, tenants, investors and sellers. Please visit our websites for a full listing of Bala commercial properties for sale or sale through our Bala commercial real estate brokerage firm.